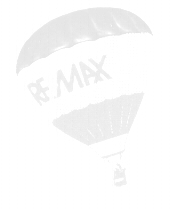 Welcome to Spokane & Spokane Valley, WA Real Estate with RE/MAX of Spokane www.SpokaneHomes4U.com: answers to your real estate q's about buying or selling homes in Spokane WA "
Search by town, address, MLS # or by map. Find recent sales, school info, neighborhood info and overhead map + street views. Free help for BUYERS Rely on my experience while I guide through each step. SELLERS I can tell you what homes are selling for in your neighborhood in this 2019 market. I have the experience to create opportunities & identify potential pitfalls. RELOCATING, into or from Spokane, WA. School info, and relocation tools. Getting overwhelmed? ..... I can help - been there done that!